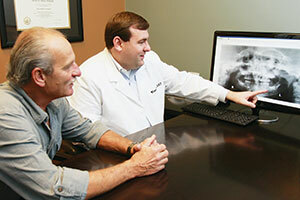 University General Dentistry has been a part of the Tuscaloosa community for many years. We even have patients whose families have been with our office for four generations. Our team of skilled professionals is here to provide complete family dental care for patients of all ages—from routine cleanings and fillings to cosmetic applications and major restoration. Dr. Turnipseed is highly skilled at creating beautiful, natural-looking smiles. University General Dentistry is a patient-focused family practice. This means that many of our patients have come to us through trusted friends and family referrals. 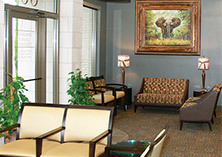 Our doctors and staff provide excellent dentistry in a relaxed, personable environment. We believe that our patients gave us a 100% satisfaction rating because of our attentiveness to the patient, from the first consultation to the completion of dental treatment. We always take the time to build a relationship with each patient. The doctors will listen to your questions and concerns, explaining any procedure prior to starting it. 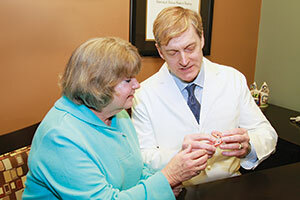 Prosthodontist Dr. William Roe is a specialist in tooth replacement and restoration. Dr. William Roe is a prosthodontist, a dental specialist who is skilled in the replacement of missing teeth and the restoration of natural teeth. Dr. Roe has a vast knowledge of dental prostheses, including the use of single dental implants and implant-supported bridges and dentures for replacing missing teeth. Over the last 10 years, Dr. Roe has placed hundreds of dental implants, giving his patients the most stable and natural-acting tooth replacement option. Known for his ability to handle even the most complex-looking dental situation, Dr. Roe can serve your tooth replacement needs using reliable, state-of-the-art technology along with an experienced eye for both aesthetics and function. 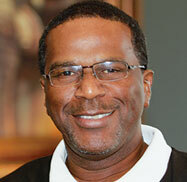 Dr. Nelson has been treating families at University General Dentistry since 1985. As our office provides general dentistry services as well as cosmetic and reconstruction dentistry, we focus on the entire family, treating patients of all ages. 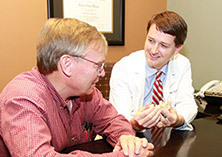 Dr. David Nelson has been diligently serving families of the Tuscaloosa community since 1985 when he joined his father at University General Dentistry. Together, our three doctors form the perfect team to keep you and your family in healthy smiles for a lifetime. To make an appointment, call 855-440-2467 or click here to request an appointment online. ©2015‑2019 Gilleard Marketing, a California corporation. All rights reserved. Custom photographs and custom copy ©2015‑2019 Gilleard Marketing.